ANNE GREENE here. 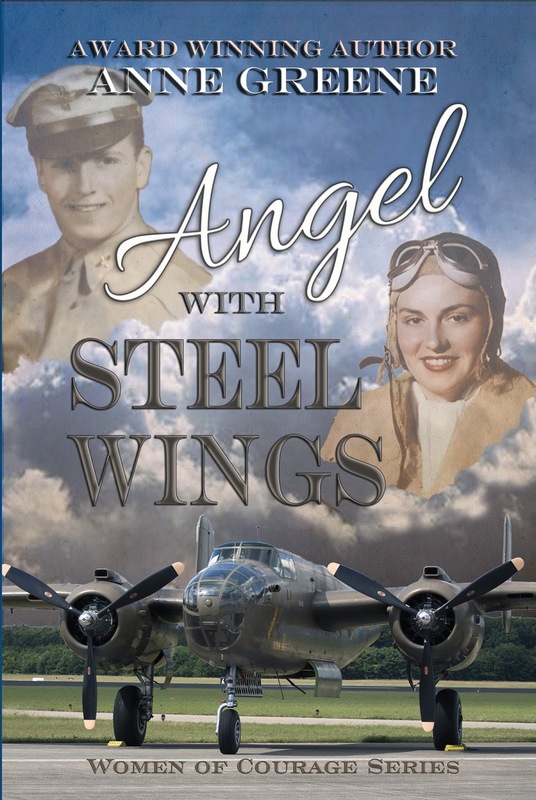 I’m giving a copy of the first book in my WW11 series, Women of Courage, ANGEL WITH STEEL WINGS, to one person who leaves a comment answering the question at the end of this blog. 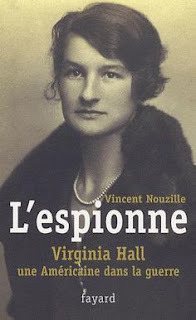 And today I’m delving into the life of America’s foremost lady spy, Virginia Hall. 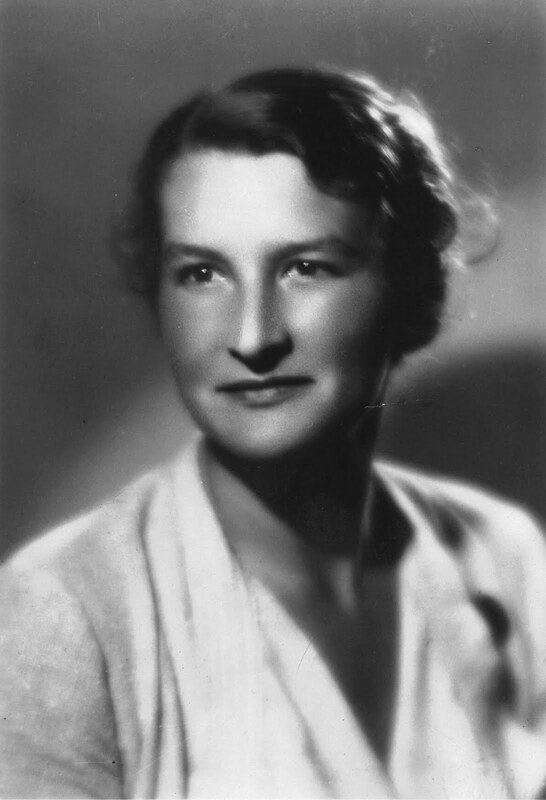 Virginia Hall was born on April 6, 1906 in Baltimore, Maryland. She came from a privileged family and attended colleges at Barnard, Radcliffe, the Sorbonne in France, and Konsularakademie in Vienna. She had a gift for learning languages and took a job as a clerk at the U.S. Embassy in Turkey, hoping to eventually become a diplomat. But in 1933, Virginia lost part of her leg in a hunting accident and used a wooden prosthesis. As an amputee, she could no longer work in the foreign service, so she drove an ambulance for the French Army. When the Vichy government took over they sent her to England. She volunteered for England’s newly founded spy ring, the SOE. They returned her to Vichy-controlled France where she worked with the Resistance until the Nazi takeover. She escaped to Spain through the mountains, on foot with an artificial leg! During the next several years she worked with the underground Resistance by providing maps to Allied forces for drop zones. She found safe houses, trained French Resistance forces, and reported enemy movements. Smart Virginia avoided the Gestapo that penetrated many of the resistance networks. America’s newly formed Office of Strategic Services (OSS) recruited her, and sent her back into France. The Germans named her one of their most wanted spies. The Nazi secret police distributed wanted posters throughout Vichy France, calling her an unknown woman with a limp. So, Virginia taught herself to walk without a limp and used disguises to escape their attempts to capture her. After the war, Virginia said in an interview, "In 1943 I joined General Donovan's Office of Strategic Services for more adventures with the French Resistance. I became proficient in Morse code and radio operation, which made me invaluable. During the day, I appeared to be a milkmaid. However, at night I directed the Resistance Forces under me in acts of sabotage and guerilla warfare. I relayed important information from haylofts via my radio to London. I always kept ahead of the Gestapo, whose leaders knew of me and wanted me captured. I never gave them the opportunity. At the war's end, my country rewarded my efforts with the Distinguished Service Cross in 1945, the only female civilian in the war to receive this nation's highest military honor after the Medal of Honor!" Virginia helped pave the way for women in America's intelligence network. 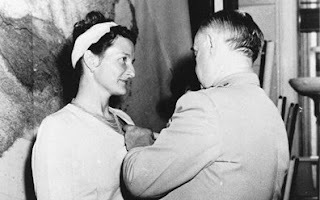 Virginia worked for the OSS through its transition to the CIA. She retired to a farm in Barnesville, Maryland, in 1966, where she lived until her death in 1982. She is known as World War II's most heroic female spy. QUESTION: Do you admire the women who served at the risk of their lives for our country as much as I do? And/or Do you know any of these heroic women? Anne loves to hear from her readers. 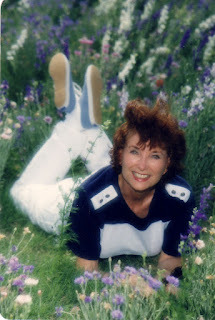 Buy Anne Greene books at http://www.amazon.com. I love to read about the many heroic women in history. The Night Witches were a group of Russian women aviators that harassed the Germans of WWII. I was able to see one of the planes that they would fly over the Germans at night. They were indeed very brave women! These were the planes that had open seats. I don't know that I could have done it, but these women went out night after night and dropped smaller bombs over their enemies. Yes, the Russians permitted their women to fly in combat regions. During WW2 the US did not. But our women test pilots risked their lives testing wounded and repaired aircraft so our men could go to the front and fly combat. Nice to see you, Claudia! 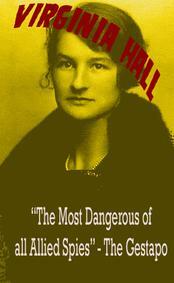 I had not heard of Virginia Hall before, nor any of the heroic woman by name. How fascinating! Hi Danielle, When I've written my WW2 spy book in the Women of Courage series, you'll read about other courageous women spies. Nice to see you here, Danielle. I really enjoyed this vignette. I remember hearing/reading that Julia Child was a spy of sorts, but I don't remember the details of her story. Hi Connie, yes Julia Child was a spy. Her story is interesting too. Did you know Julia was quite tall? Almost 6 foot. You probably love to cook don't you? Thank you for a great post! I am amazed and totally admire these women that so bravely trudged ahead. HI Melanie, good to see you here again. I love to see readers who regularly read my blog. I have great admiration for everyone who has devoted service to their country but women are especially admired! I can't imagine some of the dangers they have faced or are facing and it takes extreme courage and determination. Thank you for a great article in Vurginia and I would be thrilled to win your book. I also admire the women of WW2 and that's why I write about them! Your on the list for winning my book! Hi Kim, glad to meet you. Thanks for stopping by. Virginia Hall was an amazing woman. I've read of some of her disguises, like a hunch-backed old woman. I can't help but admire her and other women. Like Violette Szabo, who suffered so much at the hands of the Gestapo before they killed her. I know I would not have had the courage to do what they did. Hi Terri, We might have more courage than we think if the cause is great enough. Yes, Virginia had to wear disguises because she was Germany's #1 wanted female. Can you imagine what they would have done to her if they had caught her? Makes me shudder. I love this fascinating post, Anne! Yes, I greatly admire these courageous, heroic women and their service. Thank you for sharing Virginia Hall's story. Hi Britney, good to see you here again! I hope you visit every month. Love to hear from my readers. Hi Kathleen, Don't you think educators could make history so much more interesting? That is one reason I write historical romance. So many fascinating things happen that we seldom hear about. I do admire those women - I can't help,but wonder if I would have had the courage to do some of he things they did! Hi Betti, When put to the test, I think we all would stand up much better than we think we can. I have not read about Virginia Hall before. I'd love to read this book because I admire these brave women very much even if I don't know any of the heroic women. I think some people do have a risk taking gene that enables them to do dangerous things. Had I lived back then I probably would have become a flight nurse. I plan to write a book about those courageous women as well. I hope you'll all decide to read all my Women Of Courage series. Nice to see you here. 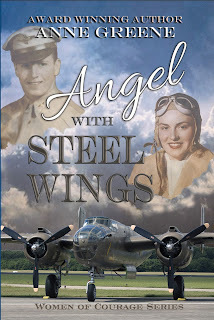 Terri Wangate won an autographed copy of my WW2 Women of Courage series, ANGEL WITH STEEL WINGS. Terri, please send your snail mail address to annewgreene@gmail.com.